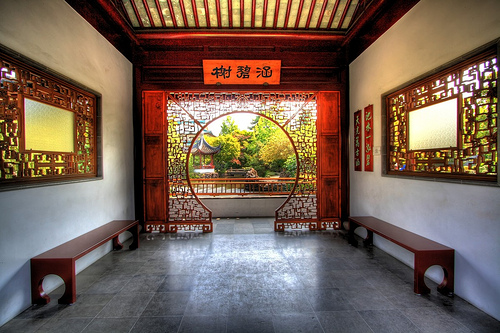 The Dr. Sun Yat-Sen Classical Chinese Garden is a remarkable, one of a kind garden outside of China. This garden is an authentic old garden designed and constructed in the tradition which reached its peak in years 1368 to 1644 during the Ming Dynasty. The Sun Yat-Sen Garden is a replica of the private green spaces within a Ming scholar’s residence. It features asymmetrical placement of stones and plants, curvy pathways and hall ways, and views that overlook its courtyards, the Garden is very much aligned with the feeling of nature. During the Ming dynasty, scholars and intellectuals of that time, lived and worked in their garden, sharing these inspiring spaces with friends and family of all ages. The scholar’s garden was filled with positive energy, but also offered serene moments for reflection on life. 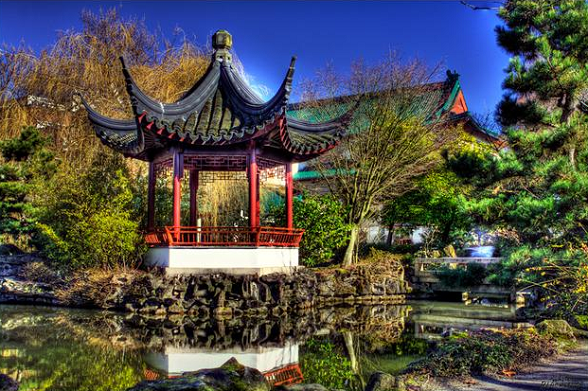 The Dr. Sun Yat-Sen Garden Society began in 1981 and is a not-for-profit organization with the aim to be a bridge of understanding and enhance relationship between Chinese and Western cultures as well to promote Chinese culture generally and be a vital part of the local community. The Garden recieves its funding from all levels of Canadian government, private individuals, corporations and the Chinese government. The Garden was built in 1985-1986 using the time tested fundamental techniques used by the original Ming dynasty garden. Fifty-two master craftsmen from Suzhou China working with Canadian builders, completed this landscaping masterpiece in a year. The detailed hallways and walkways were constructed with precision craftsmanship, joining the components without the use of nails, screws or glue. 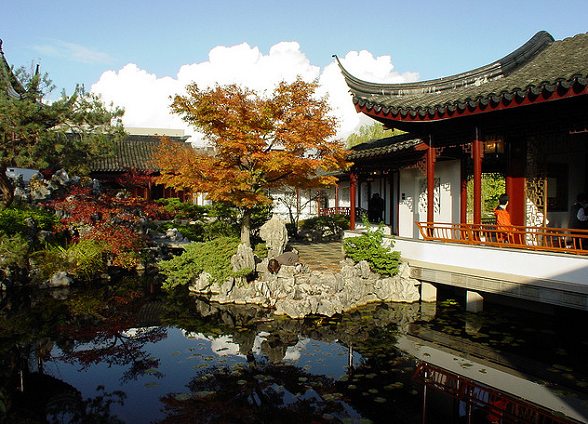 The Dr. Sun Yat-Sen Garden opened for visitors on April 24, 1986. The Sun Yat-Sen Garden was built using the principle of collaborative design, in which the Garden goes well and compliments the public park close to it; improving the view in both places. For the architect, the botanist, the student of history, the lover of beauty, the Garden provides insights into the subtle wonders to be found within the walls of this living treasure. Known as the “Father of Modern China,” Dr. Sun Yat-Sen is recognized for his central role in the history of modern China where he sought to bring democratic rule in the early 20th century. He visited Vancouver three times to fund-raise in support of the revolution. Born into a peasant family in Guangdong Province in 1866, he was educated in Hawaii exposing him to Western thought at an early age. Later, he left his medical career to devote himself to the cause of democracy. As China’s first professional revolutionary, he traveled the world promoting the pro-democracy movement and raising funds. 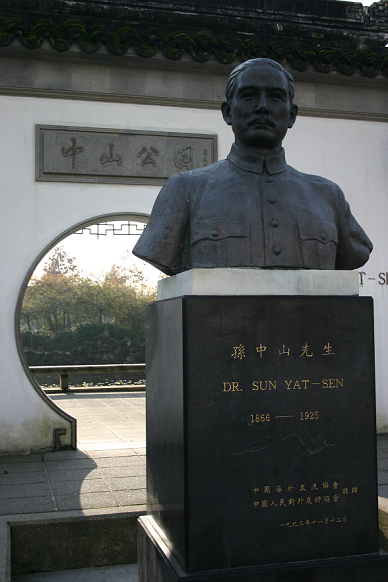 Dr. Sun Yat-Sen is credited with leading the 1911 revolution that finally overthrew the Qing dynasty. He became the first president of the Republic of China in 1912, but resigned shortly after to devote his efforts to the economic development of China. Since his death in 1925, Dr. Sun Yat -Sen’s persona has evolved into a heroic symbol of modern China. He is known as Guo Fu, the Father of the Country. This entry was posted in History, Tourist Attractions and tagged Chinese, Classical, Dr. Sun Yat Sen, Gardens, Ming Dynasty, nature, peaceful. Bookmark the permalink.